Monitor Municipalities’ Clients - One of AIS projects on Municipality Transparency. 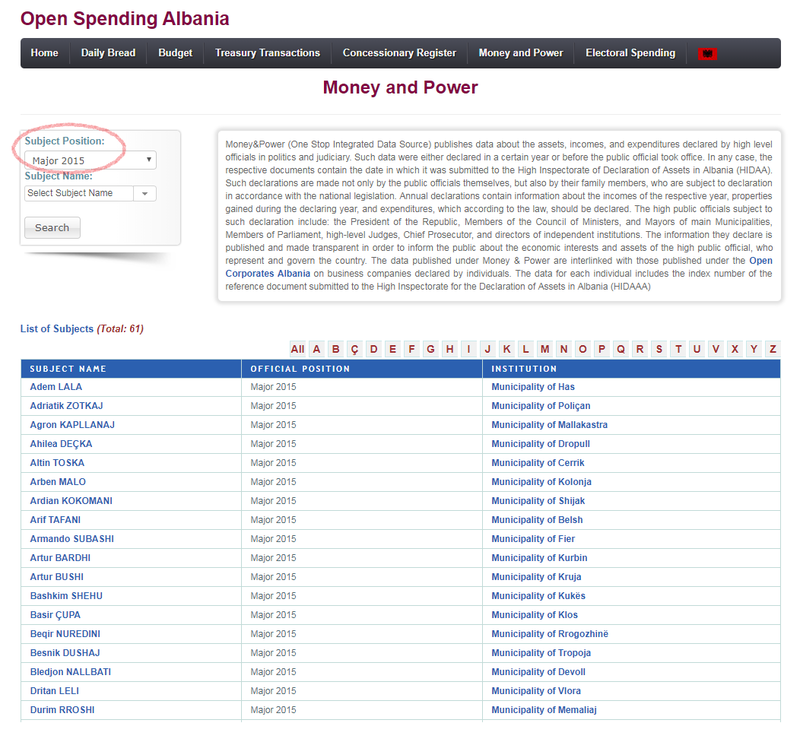 The main output of the project is the Open Corporates Albania database. This database contains economic data concerning business companies that have won tenders and contracts with the municipalities. The database introduces the Municipality’s Private Contractors, identifies their owners and administrators, and describes their economic performance and activity. After winning a tender with the municipalities, these economic entities provide public services or works. The public may thus learn who stands behind the companies contracted by the Local Government Units. 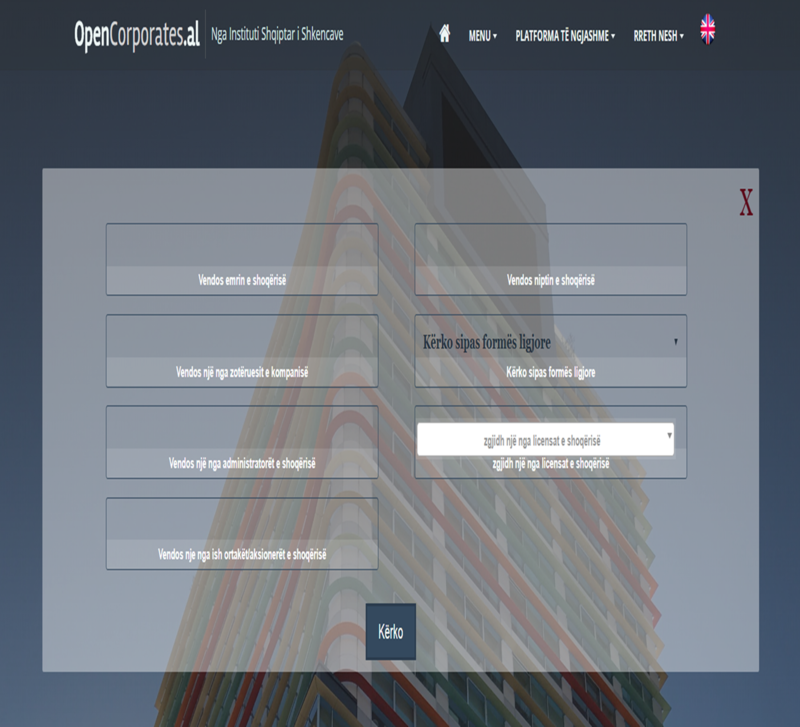 For each business company, a passport using OpenCorporate standards is created for each tender conducted by all the municipalities from 2015 and ongoing. Which are the economic interests of Mayors? Asset Declaration is a process that enables the control of integrity, interests, and wealth of high-level officials. Mayors in our country, as high-level elected officials, are obliged to declare their assets to the High Inspectorate of Declaration and Audit of Assets and Conflict of Interest. Asset declarations, however, are not published on the website of the Inspectorate or on any municipalities’ websites. Pursuant to the right of information, AIS created asset declarations made by mayors over the years. Every citizen may search online for the assets and economic interests of their mayors or those of their family members. 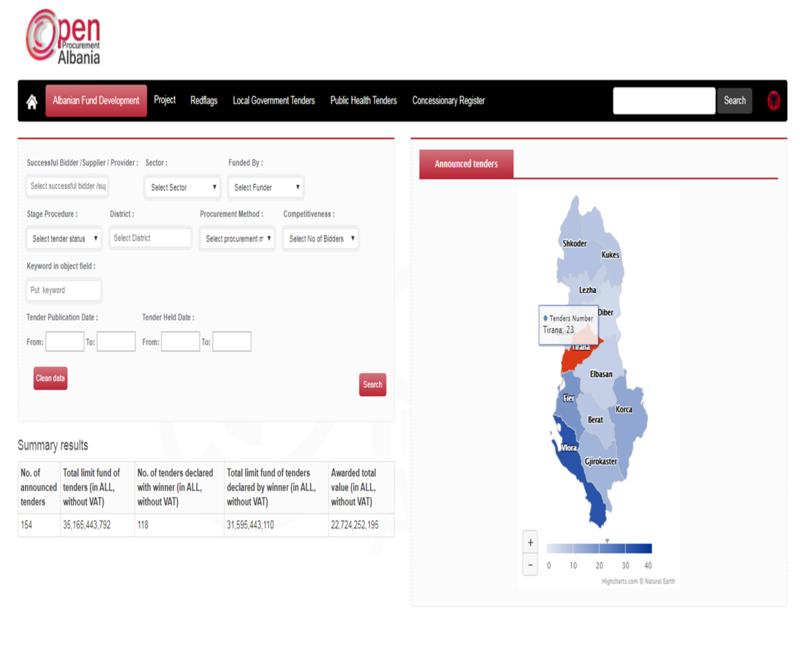 Other analysis and economic interests of mayors are available under Open Data Albania. The Albanian Development Fund (ADF) is one of the most important public institutions. Its projects are covered by the State Budget and credits from important international institutions. The monitoring of ADF’s procurement of public works is particularly important given the high value and impact they are expected to have on the public sector. AIS has developed a database containing a passaport for each procurement in accordance with the OpenContracting standard. Anyone may search for data concerning tenders, fund limits, winning offers, winning operators, disqualified operators, and contract terms and deadlines. The data may be filtered enabling an analysis by the location of investments, nationality of contractors, type of tender procedure, type of project, and level of competitiveness. The data will be updated on daily basis, enabling taxpayers to monitor contracts signed for public money and goods. The Municipality of Divjaka in cooperation with AIS established Open Spending and Open Budget instruments. The budget tables for 2017 were visualized in an open data format, making it easier for everyone to trace, understand, and reuse information. In addition to its table of incomes and expenditures, the municipality visualised also its budget by its administrative units as part of its Transparency Program. Municipalities are required by law to develop their Budget Transparency Programs.PLGP/USAID Albania in cooperation with AIS had already provided the municipalities of Korça, Elbasan, Fier, Lushnjë, Berat, and Kuçova with instruments for open expenditures and budgeting. HackaThonAlbania, the marathon of intelligence and creativity, took place on 24 and 25 Mars by AIS and the Embassy of the Kingdom of theNetherlands as the co-organizers. 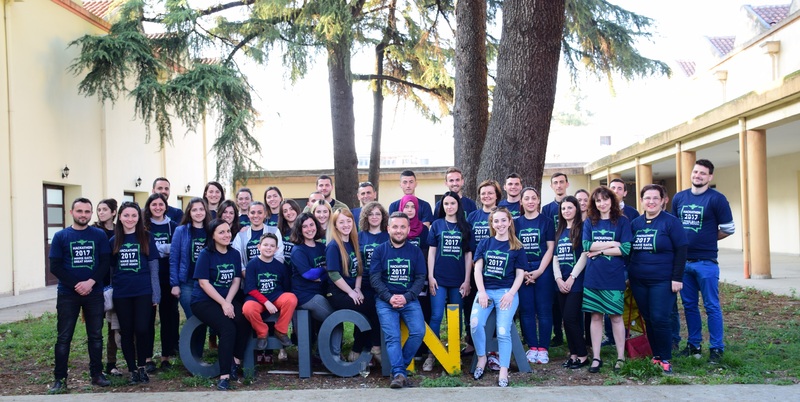 Fifty young people from Albania and Kosova worked for two days for innovative solutions through applications, visualizations, and maps. In the end, eight groups managed to finalize eight useful projects. More transparency, good governance, and better public services were the topics selected by the working groups. The first prize of Euro 500 euro was awarded to TraficGenius group of four members. Our partners in organizing this event included also Open Data Kosova, ICTS Media, and Oficina .